Her life was tumultuous. She always stood for truth and justice. 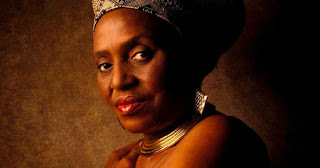 She fought for the oppressed most importantly for black Africans, as a campaigner against apartheid. She died November 2008 after a concert in Italy. Join us for a unique celebration of one of the world’s greatest writers, as he shares the secrets behind the creation of his most beloved character. From his extraordinary Cold War novels – such as The Spy Who Came in from the Cold and Tinker Tailor Soldier Spy – to his powerful descriptions of the arms trade in The Night Manager, and the War on Terror in A Most Wanted Man, the writing of John le Carré has come to define the last half century. In this one-off event, the author discusses the full breadth of his career, and reflects on the continuing story of his most famous creation, the tubby, bespectacled spy, George Smiley. Coinciding with the publication date of his new novel, A Legacy of Spies, the event will include readings from the book by the author. The novel sees the return of some of le Carré’s most iconic Cold War characters, including George Smiley and his trusted lieutenant, Peter Guillam, as their past comes back to claim them in the present. With a rare question and answer session, this will be an unmissable opportunity to experience one of the foremost chroniclers of our age, direct and in his own words. 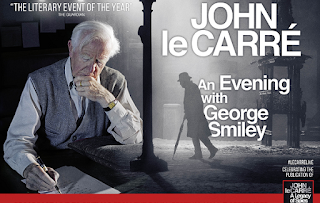 In support of MSF, the leading emergency medical humanitarian aid organisation, John le Carré is donating his speaker’s fee, and the producers of the live cinema broadcast, The Ink Factory, are donating their share of the profits to the charity. The film will be shown at the Strand Theatre: 717 Clay Street in downtown Vicksburg at 6 PM on Monday, October 2. Copies of Le Carre's new book, a Legacy of Spies and other books by the author will be available at the event coutesy of Lorelei Books. 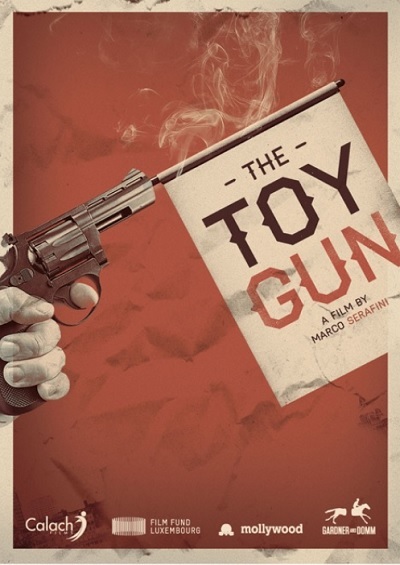 This program is only showing at a few locations in the U.S.. Santa Fe, New Mexico is the next closest to the west, Winston Salem, North Carolina and Lake Worth, Florida are the closest to the east. Médecins Sans Frontières/Doctors Without Borders (MSF) is a leading emergency medical humanitarian aid organisation. They provide emergency assistance to people affected by armed conflict, epidemics and natural or man-made disasters, without discrimination and irrespective of race, religion, gender or political affiliation. They work in over 60 countries and go to places where others cannot or choose not to go. About 45 folks gathered at the Strand on Sunday, September 24 to celebrate the second annual Art House Theater Day. Our idea was to expand on the usual sight and sound of films and add the other senses. We figured the best way to engage the senses of taste, smell and touch were to have food and drink. Taking our cue from our feature film: Lucky, we decided to have a fiesta, which meant Mexican food and Bloody Marias before the film, and flan for dessert afterwards. 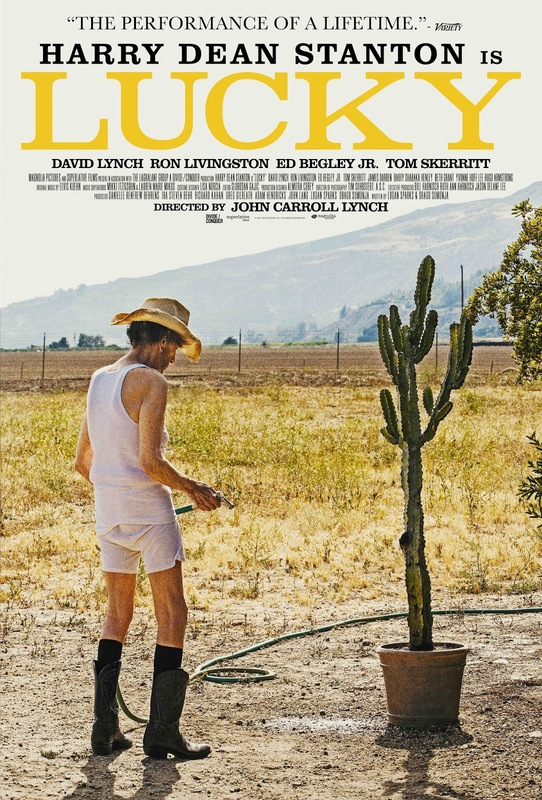 Lucky was preceded by clips from the career of Harry Dean Stanton. The film was a moving tribute to the life of this wonderful character actor (who died about a week before) and a meditation on acceptance for the audience. The Strand audience was largely comprised of "regulars" but it was great to see a number of newbies there for the first time. I assured the first timers that they would have to return, because there were no other attendees who had only been there once before. All in all, it was a civilized and fulfilling AHTD. Thanks to John and Lisa at Martin's at Midtown; Jay Parmegiani and crew from 10 South; Rachel Bacon; and Joseph Holbrooks for all providing food and drink for the soiree. Also thanks to those folks who volunteered to help us next time we are crazy enough to attempt something like this. Come back soon and often, and remember AHTD returns in 2018! General of the victorious Scottish armies, Macbeth hears a prophecy from three witches that predicts he will be the next King of Scotland. Believing this premonition, his wife encourages him to kill the King. His divine right drives Macbeth to be bloodthirsty with friends and opponents alike, but alone and racked with guilt, he faces his last battle and death. 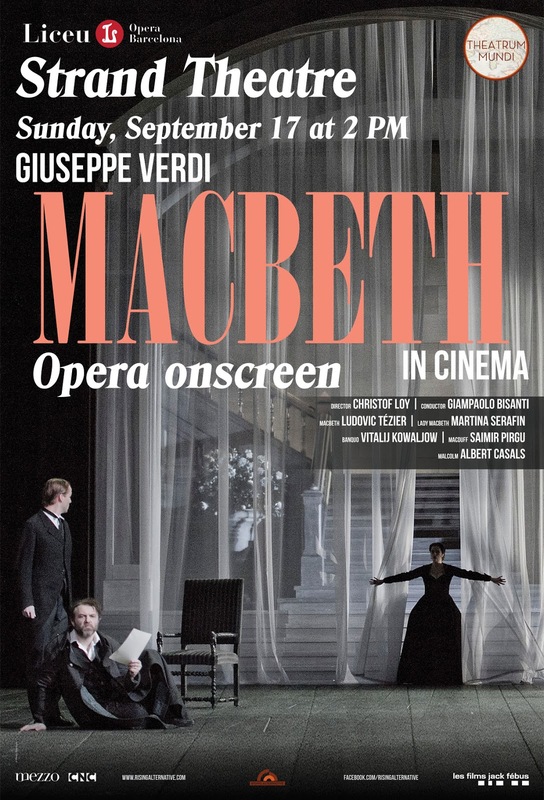 Giuseppe Verdi felt inspired by Shakespeare’s work and his devotion led to his first opera based on one of the writer’s texts. Verdi’s enthusiasm gave him the will of achieving “something extraordinary” with the iconic writers work.